Turn your TV through a small android device into the ultimate Android Smart TV! An Android Stick is now a fully fledged Mini PCs in USB Stick Format. A Androidbox may have more features, but with an Android Stick you will not suffer from all kinds of cables. With the current Android 4.2 and 4.4 KitKat operating system and the Google Play Store gives you access to nearly one million App's. Stick with an Android, you can now easily watch HD movies on your TV, Android Play games (such as Angry Birds) or surf the Internet (support almost all Android Sticks Flash / HTML5). If you connect a USB camera on your Android Stick are even video calls possible (eg. Skype). Some sticks are even equipped with a camera! The equipment is strong, advanced hardware installed. Previously Android Sticks made using a Dual Core CPU (processor) with a quad-core GPU (video) processor and 1GB of RAM (memory). 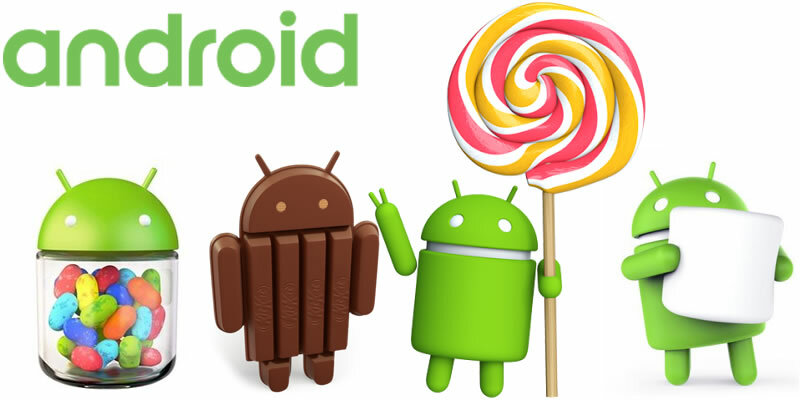 Thanks to the popularity of the Android Sticks are manufacturers soon started production of Quad Core Android Sticks. These sticks turn almost all on the same SoC (System on a Chip), namely the RK3188 from Rockchip. A very popular chip that is used among other things in Tablets, Smartphones, and now in Android TV. The chip includes a quad-core processor, a quad-core graphics card and often even 2GB RAM. This offers sufficient reserves for demanding applications. The disadvantage of an Android Stick opposite a Androidbox is that an Android Stick has fewer ports, such as less USB ports, and the lack of an Ethernet (LAN) connection. 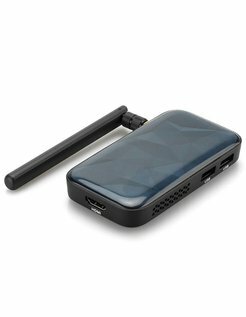 This little thing can be solved with a USB Ethernet adapter, allowing the TV stick can be connected via an internet cable. Would you like more USB ports, you can always have a USB hub reorder. 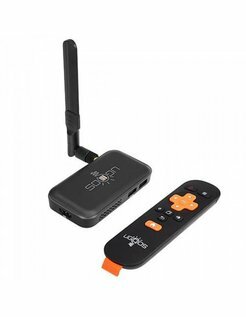 Our Android Stick is much more like an Apple TV Box! Of course, not all Android Sticks same. 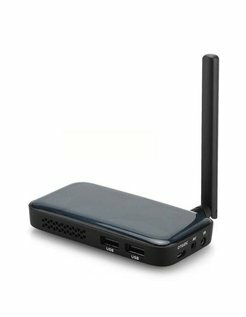 All Android TV sticks have good Wi-Fi reception, but some sticks have an antenna, allowing the Wi-Fi range is improved. Some have Bluetooth as the MK808B. DLNA compatibility, enabling you to enjoy music, pictures or even stream movies from your PC, laptop, tablet and smartphone directly to your TV via the Android box. In short, there is plenty to choose from. Speed; What kind of CPU (processor), the drive runs on and how many GB of RAM memory, it comes. Wi-Fi reception; The stick an additional antenna for faster Wi-Fi. The stick an ethernet port? We have the largest selection and newest Android TV sticks in the Netherlands! 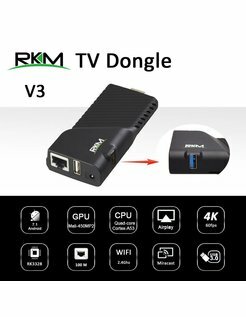 By the latest hardware and the various HD Media Players you can enjoy movies in HD quality up to 1080p HD, some sticks even go up to 2160p ie Super HD! Whether your home network, a connected USB drive or a microSD card. Are very many video and audio formats supported. (VP6, MKV, TS, TP, M2TS, RM / RMVB, BD-ISO, AVI, MPG, VOB, DAT, ASF, TRP, FLV) and (DTS, AC3, LPCM, FLAC, HE-AAC, MP3, OGG , WMA, WMAPRO). The official successor to the wildly popular MK808B, a stick that has been tested by us by the magazine Total Computer and has been tipped by the editors in the May 2013 edition. This Android Stick comes with the popular AMLogic S805 SoC that includes a quad-core ARM Cortex A5 processor and a maximum clock speed of 1.5 GHz gets. Furthermore contains this stick 2GB DDR3 RAM memory and 8GB NAND Flash internal memory. The stick runs on Android 4.4. Tronsmart is a reliable manufacturer which has many familiar android sticks on the market. Also Tronsmart busy enabling Over the Air (OTA) updates. This means that anyone over the internet are just Android Stick can automatically update to the latest firmware. Tronsmart is the world's first Android TV that will provide this option soon. 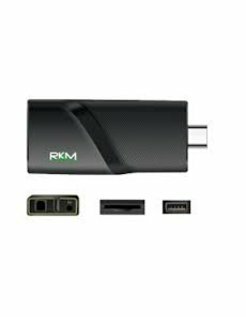 The MK809V Android TV Stick is equipped with Rockchip RK3288 SoC, based on the quad-core ARM Cortex A17, geclockt up to 1.8 GHz. There is 2GB DDR3 RAM memory and 8GB NAND Flash available internal memory. What the MK809V so special is the presence of a gigabit Ethernet port. this allows you to achieve very high download speeds. Graphically the MK809V is a monster by his monstrous Mali-T764 GPU / Video Processor. This GPU features 16 cores! Because of these very heavy GPU mk809v delivers superb video performance. Ugoos spends more and more wonderful products on the market. The MK809V is nicely finished and delivers brutal performance.